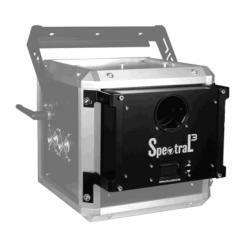 FEEL FREE with SpectraL3 - the mobile laser top from LPS. Each Spike, Bax XS and Bax S show laser can be upgraded with SpectraL3 to create beside breathtaking laser animations also laser effects with line, grid and lumia. Because of its well-designed housing, you can easily fix it to your LPS laser show system, connect it and enjoy additional laser effects. How does it work? Watch the video. 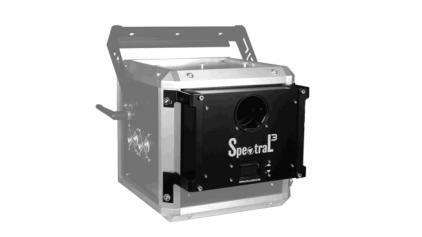 The SpectraL3 add-on is easy controllable via DMX for your perfect laser shows.